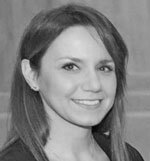 Francesca Roscini is a post doc research assistant at the Department of Engineering of Roma Tre University, in Rome, Italy. She is a civil engineer and she got her BSc, MSc in Civil Engineering at Perugia University. She worked at Perugia University as a research fellow. Her research was focused on the structural rehabilitation, testing and control. She carried out experimental investigations on the fatigue behaviour of concrete and numerical studies related to the structural health monitoring with FE models. She got her PhD in Civil Engineering at Roma Tre University. Thanks to her PhD dissertation in “Strengthening of masonry vaults with Steel Reinforced Grout”, she won “Galileo Galilei” international award (young edition), she has been finalist in “Ing. Dario Scapaticci” national award and her thesis summery is included in “Innovation in Concrete Structures and Cementitious Materials-2018” for the ACI Italy Chapter and Federbeton Award. Her research topics have included the rehabilitation structures damaged by earthquakes with Externally Bonded Reinforcements (EBR) with composites. She is author of journal articles, conference papers and documents in advanced materials for innovative solutions in building retrofitting topics. She is involved in an international research programme for the experimental investigation of the mechanical properties innovative composites for the structural reinforcement, as a member of RILEM TC 250 committee, COST Action TU1207 and ReLUIS task group. In January 2016 Francesca attended FRP Training Course “Reinforcing and strengthening of structures with FRP reinforcement” in Ghent University, thanks to a fellowship award from COST Action TU1207. For a period in 2017, she has been Visiting PhD Student in “The University of Sheffield”-Department of Civil and Structural Engineering. She is seminar research lecturer and speaker at International Conferences and in international meetings. Since 2012 she has taught as lecturer and tutor in structural engineering and she has been assistant supervisor for students in BSc and MSc thesis.